Founded in 1884, the Gaelic Athletic Association (GAA) has grown into the biggest sporting organisation in Ireland, and has also spread to various nations around the world. 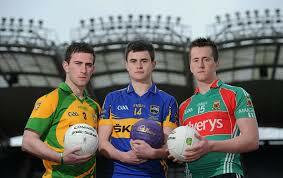 The All-Ireland senior football championship is the most eagerly awaited contest of the summer. In total, 34 teams compete to be crowned champions of All-Ireland on the last Sunday in September. Over the years, the football championship has given us some wonderful excitement and moments that will live long in the memory. However, off-the-field issues are threatening to bring the game, and the association into financial jeopardy. Although the GAA and the championship give us great joy, and a great sense of being Irish, there are deeper, underlying issues that must be addressed. The political circus that the GAA has created is a disgrace and a farce. In the recent Ulster championship campaign, Monaghan traveled to Belfast to play Antrim whilst Armagh played away to Cavan. To stand on the terrace for both of these games was €15 each and to sit in the stand, it was €22. Between these two games, only 11,000 people attended, one fifth of the capacity of Casement Park and Breffni Park combined. Local Postman Paddy McPhillips, originally from Cavan but working in Monaghan, is annoyed at the GAA. ‘’It doesn’t make sense to play them in separate venues, I would’ve went to the double header had there been one and so would others,” he said. Politics are very ripe in the GAA. If we look at Dublin, we can see this quite clearly. 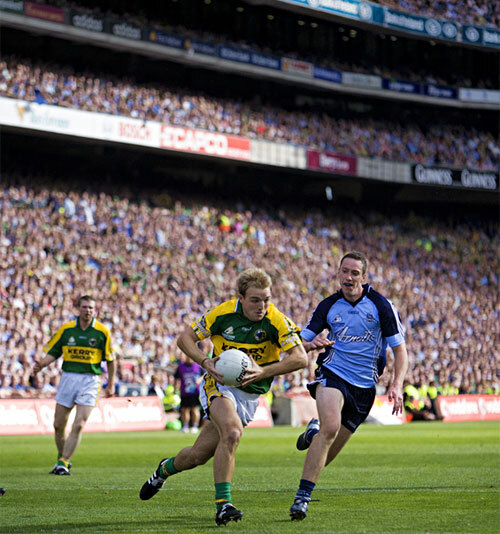 Dublin has played only one championship game outside of Croke Park in nearly two decades. The GAA refuse to allow Dublin to leave Croke Park so that they have more revenue, but as a result are actually losing money on the Jones’ Road venue. On average, before the All-Ireland series, Dublin attracts crowds of 40,000. Croke Park requires at least 47,000 people to break even. The policy of keeping the Dubs in Dublin is in the hope that they will fill Croke Park’s 83,000 capacity every week. ‘’Look at Dublin in Croke Park every other week, whereas the Cavan and Monaghan fans have to travel all over Ulster and Ireland just to watch their team, it’s not fair,” said Mc Phillips. ‘’I spent over €400 going to watch Cavan in this year’s championship, between fuel, tickets, and food, Dublin fans don’t pay near that much,” added the local postman. Seanie Johnson sought a move from Cavan to Kildare to play senior inter-county football in 2012. His transfer saga went on for three months and dominated the news, yet when Johnny Hanratty sought a move from Armagh to Louth, he was granted it in a matter of days! Likewise, when Billy Joe Padden moved from Mayo to Armagh in 2010, it was also granted in a number of days! Surely there were underlying politics in the decisions – how can one man’s case be different to anothers? If we look at the hierarchy of the GAA , we will notice that their officers are on exorbitant amounts of money. Pauric Duffy earns over €120,000 per annum and GAA president Liam O Neill earns nearer to €140,000. ‘’Pauric Duffy gets massive money down in Dublin and yet doesn’t know what’s going on in his home county,” said Clontibret secretary Colm Gormley. ‘’I don’t know why the money is not spread out among the players and clubs, after all we are all amateurs,” said the Clontibret man. Referee’s get €35 a game plus expenses , with linesmen and fourth officials only receiving €10. Surely that doesn’t make sense, how can people that are officiating be given so little, and how can four umpires be asked to give up their day for nothing? Donegal had over 210 training sessions in 2012. Many of their players had to travel from Dublin and Galway to Letterkenny, three to four times a week. These players’ received nothing in terms of payments or support for taking time off work, all they received was 30 cent a mile for fuel. ‘’I didn’t go back to the senior set up in 2012 as I had dropped out of college and was totally broke due to football,’’ said O’Boyle. Politics are ripe in the GAA, and it’s an issue that needs to be addressed greatly. How an amateur organisation can be so professional, and yet so unprofessional and underhanded, is astonishing. Budget 2014 Illustrated: What does it mean for you?